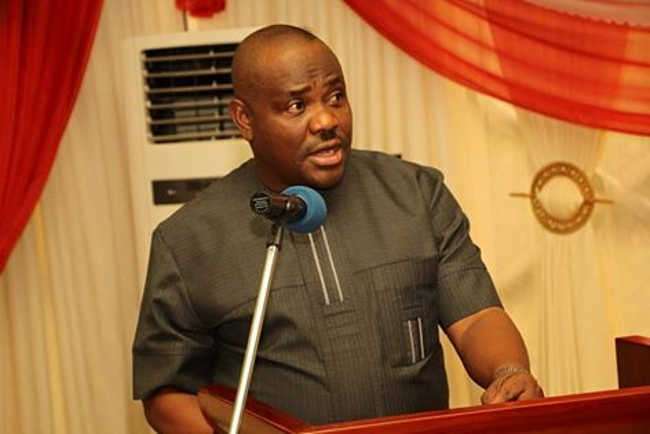 Governor Nyesom Wike of Rivers state has promised to pay the proposed N30,000 minimum wage if approved by the Federal Government. The governor said this on Saturday during the foundation laying ceremony of an ultra-modern secretariat for the Trade Union Congress in the state, performed by the group’s national president. He, however, lamented Labour’s constant complaints, urging them to understand that all government’s revenue cannot be used to pay wages. “We make promises and we fulfil them. The only one left which you are contending with at the national level is the minimum wage. “If you people agree, we will pay, but I’m not one of those who made that promise. “The party that made the promise should solve the problem. I’m not here to solve anybody’s problem. (But) if you people agree we will do it. But I will not come and begin to stay in a meeting for 15 hours… that, I will not do but I’m in support. It’s just that your demands are so many.